It is with great honor that we share with the #CLACSatNYU community that our faculty member Pamela Calla recently won the Martin Luther King, Jr. Faculty Award for excellence in teaching, leadership, social justice advocacy, and community building. Professor Calla is a distinguished anthropologist, cherished member of the #CLACSatNYU community, and a mentor to many of our students. She grew up in a mining town in southern Bolivia. Her understanding and construction of collaborative political, pedagogical and research approaches dealing with difference and inequality were shaped by this life experience. 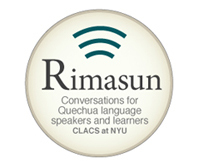 Before coming to CLACS at NYU, she was the co-founder and director of the Bolivian Observatory on Racism. This observatory had the mandate of research, capacity-building, and grassroots action against current manifestations of racism. She was later co-founder and co-coordinator of the “Red de Investigación Acción Anti Racista en las Américas,” an initiative which linked organizations with similar mandates across the Americas, as well as focused on capacity-building and comparative-action research in the creation of pertinent anti-racist strategies. We are honored to have Professor Pamela Calla at #CLACSatNYU and celebrate her achievements and the positive impact she continues to have among our students. On September 29th, the Center for the Latin American and Caribbean Studies partnered with the office of the President of NYU, and the Program on Corporate Compliance and Enforcement (NYU Law), for a presentation by the President of Paraguay H.E. Horacio Cartes. The event, hosted at the New York University School of Law, D’Agostino Hall, gave a unique opportunity to members of the NYU community to listen to a Latin American head of state’s vision for his country. Students, faculty, media, and members of the Paraguayan community in New York, filled the 135 seat capacity room to hear about President Cartes’s proposals for making Paraguay “A Land of Opportunity,” as his presentation’s title stated. President Cartes also answered questions from the audience in a session moderated by Jorge Castañeda, Global Distinguished Professor of Latin American and Caribbean Studies at NYU. Yesterday the CLACS 2014-2015 cohort presented their final projects of the Masters’ program. With the guidance and support of the Faculty, the students presented on a vast array of disciplines, from anthropology and journalism to literature and museology, providing an innovative look at topics related to Latin American and Caribbean Studies with impressive depth. 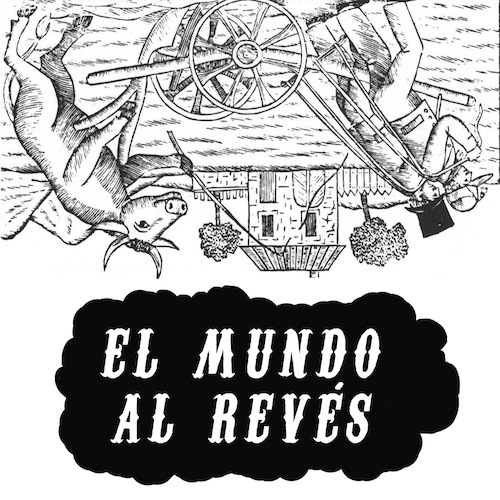 Their research covered topics such as Quechua linguistics, gentrification in Ecuador, hipster culture in Cuba, the Palestinian migrant experience in Honduras, Afro-Mexican identity, diasporic Guatemalan literature, Chinese commerce in indigenous territories in Central America, among others. For the complete list of research projects, click here. We are very proud of their accomplishments, and wish them all the best on what we are sure will be a successful future! On December 17th President Barack Obama and Cuba’s Head of State, Raúl Castro, made simultaneous announcements of a diplomatic normalization in the relationship between the United States and Cuba. The surprise announcement was the culmination of 18 months of backroom negotiations between the two governments. As part of the new agreement the United States removes or reduces restrictions on travel, remittances, and banking, while Cuba has promised increased internet access, and the release of 53 people identified as political prisoners. In the first of a series of discussions on Cuba planned by CLACS and the King Juan Carlos I of Spain Center, a distinguished panel of guests discussed the implications of the new agreement, recent experiences in Cuba, and the potential for a new “Cuban Moment.” The panel, gathered on January 28 at the KJCC Auditorium, included renowned Cuba scholars Odette Casamayor Cisneros, Ariana Hernández-Reguant, Jacqueline Loss, and Noelle Stout, the author Enrique del Risco, artist Coco Fusco, Damien Cave of the New York Times, and Ana Dopico, director of the King Juan Carlos Center, moderated by Jill Lane, director of CLACS. In a packed house, each speaker had the opportunity to share their experiences and perspectives from their respective fields of expertise. One common thread through each of the presentations was that this “Moment” was not singular or particularly unique in Cuban history. For many on the panel, the opening of diplomatic relations reflects an “American Moment,” one moment in a cyclical period where the American populace has their collective imagination focused on the Caribbean island once again. Another common theme between the panelists was a sense of reserved optimism for the improvement in opportunities for the majority of Cubans. Many on the panel acknowledged that an increase in American banking opportunities, remittances, and the potential to import more foreign goods, could exacerbate existing forms of inequality. In this regard, this “Cuban Moment” could be a repetition of the many previous Cuban moments, as well as potentialities that have yet to be fulfilled. Below are some pictures of The Cuban Moment: Conversatorio on Cuba. To stay up to date with our Cuban Moment Series, follow CLACS on Facebook and Twitter. 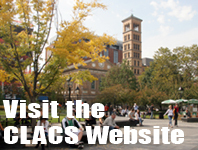 Join our mailing list for updates on all CLACS events. Scholars, artists, students, activists, and the public gathered for a Teach-In to explore the current crisis in México––and the role that U.S. policy has played in its creation. Invited participants included Reverend Billy & The Stop Shopping Choir, The Illuminator Collective, Greg Grandin, Macarena Gomez-Barris, Gerardo Renique, Diana Taylor, Christy Thornton, María Josefina Saldaña-Portillo, Isabel Gil Everaert, Rossana Reguillo, Antonio Zúñiga, Juan Carlos Ruiz, Marcial Godoy-Anativia. This event was co-sponsored by the Hemispheric Institute of Performance & Politics, the Critical Tactics Lab (CTL), the Center for Latin American and Caribbean Studies (CLACS) at NYU , and the North American Congress on Latin America (NACLA). The Center for Latin American and Caribbean Studies warmly welcomed the Vice President of the Plurinational State of Bolivia, Álvaro García Linera, as he discussed the process of building Bolivia’s political progress over ten years with Jorge Castañeda, NYU Global Distinguished Professor of Politics, having moderated the event. Álvaro García Linera has been Vice President to Evo Morales, Bolivia’s first indigenous President, since 2006. A mathematician, empiric sociologist, former leader with the Ejercito Guerrillero Tupaj Katari (Guerrila Army Tupaj Katari, or EGTK0), and former political prisoner, García Linera has dedicated his career to the struggles of indigenous peoples and the working classes of Bolivia. He is author of numerous books, including Identidad boliviana: nación, mestizaje y plurinacionalidad (2014), Plebeian power: collective action and indigenous working-class and popular identities in Bolivia(2014), and Geopolítica de la Amazonía: poder hacendal-patrimonial y acumulación capitalista (2014). Photos by CLACS MA Candidate José Raúl Guzmán.